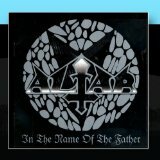 Altar is a Dutch death metal band. The band started in the early 1990s under various names, including Manticore and Anubis, in the town of Hardenberg. Eventually they settled on Altar. In 1992 they released their only demo, which landed them at Displeased Records. After five full-lengths the band split up in 2001. From time to time, the classic line-up reunites to play a limited number of shows under the name Altar-native.